Adam Sandler has unveiled the dates for his North American summer tour. Dubbed “100% Fresher,” the actor-comedian’s 18-date run kicks off on May 31st at Treasure Island Amphitheatre and culminates in St. Augustine, Florida at St. Augustine Amphitheatre on June 30th. The tour announcement comes on the heels of his recently released 100% Fresh: A Netflix Original Comedy Special, the audio companion CD to his first comedy special in 20 years that first aired on Netflix in October. In 2017, Sandler expanded on his deal with Netflix to release a spate of additional movies. The next one, Murder Mystery, is slated to begin streaming on June 14th and co-stars Jennifer Aniston and Luke Evans. 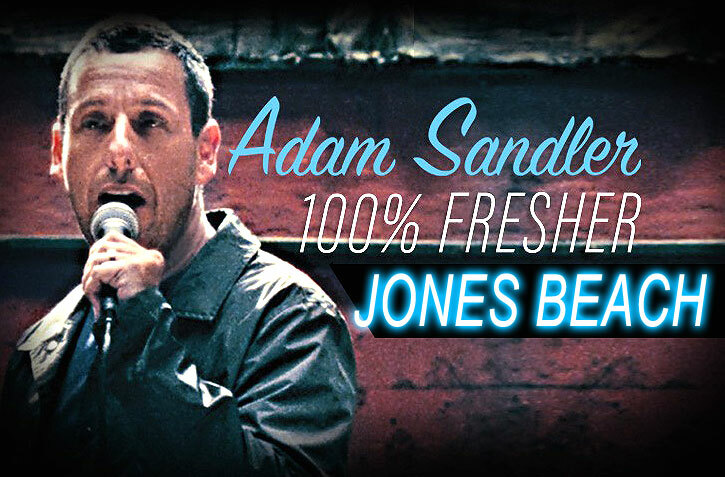 Later this year, Sandler will also star in the Safdie Brothers-directed Uncut Gems.